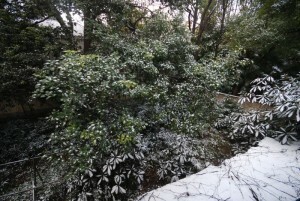 The extremes of Shanghai winter always comes as a surprise. Snow falls generally once or twice a year, and only remains for a few hours, sometimes one day. 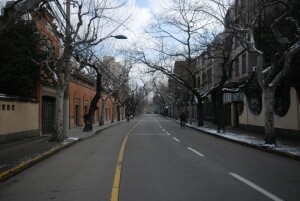 This year main snowfall came on the days before Chinese New Year, at a time when the city is deserted. The combination of empty streets, snow and (some) blue sky was a quite unique photo opportunity. The snow had already mostly melted when I left for my photo trip except for the shadows of our garden. The sun coming out also did not leave much time for photo opportunities, but the feeling of walking the empty streets in the cold was very special. 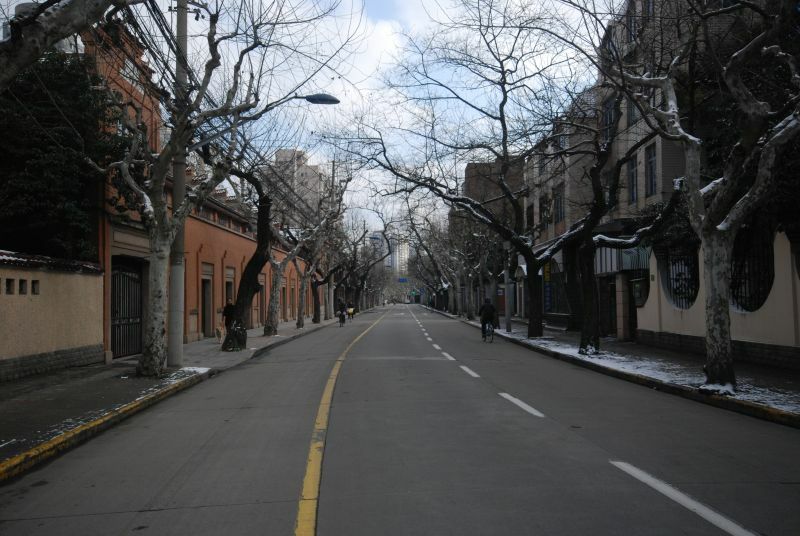 With their European architecture, the snowy empty streets of Shanghai former French Concession felt really like being in Europe. The traffic, noise and constant activity of Shanghai streets are normally unmistakably Chinese, but the emptiness and quiet really made them feel different. Funny enough, the quite of Chinese New Year in Shanghai is also the time when today’s Shanghai old quarters mostly feel like Old Shanghai. 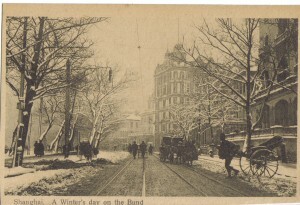 Thanks to modern transportation, most people have gone home to celebrate with their family, so most ayis and drivers are gone back to the countryside and many foreigners are gone to warmer and sunnier landscapes. The empty city remaining has the quite and the look of Europe in the winter… thousand kilometers away. This will only remain for a short while, as tonight the city will turn into a massive fireworks show. 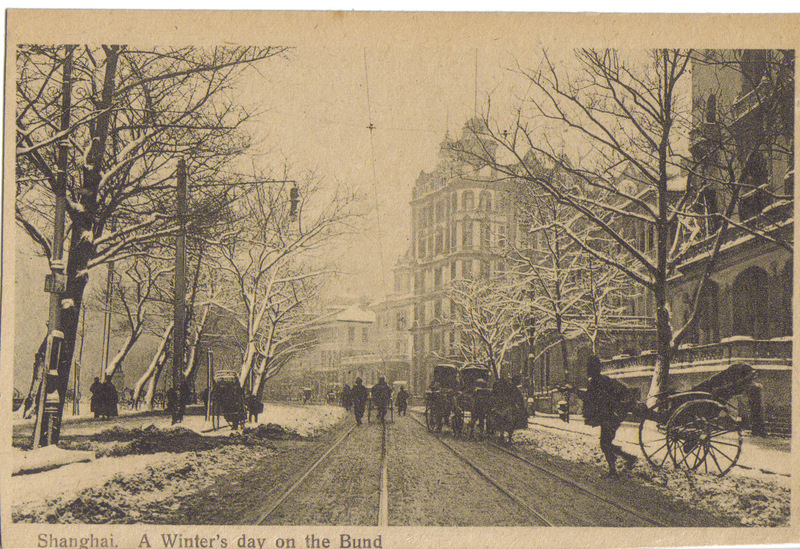 With the cars gone and only a few bikes passing by, it could have been winter 1933, just like winter 2013 and I would not have been really surprised to pass by a rickshaw running in the cold just like on picture left (more information about this picture in post Snow in Shanghai). 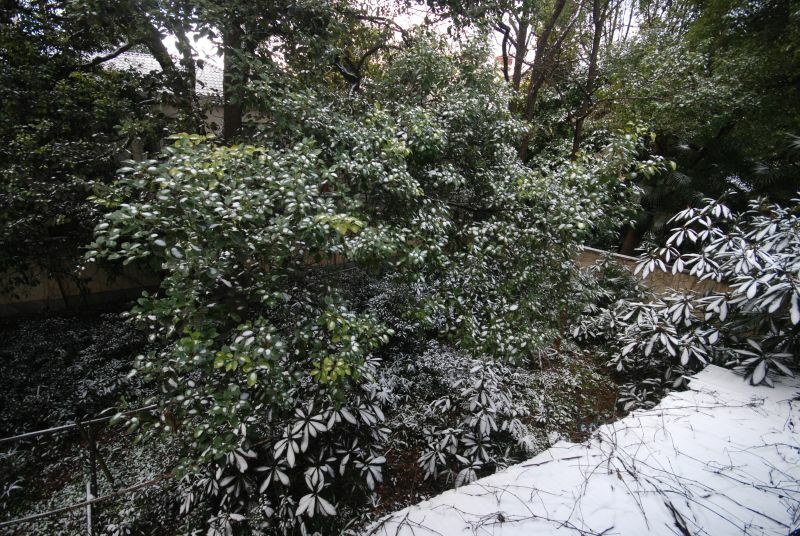 Thank you for the nostalgic picture of snow in my Shanghai, which usually fell in February around Chinese New Year. It barely lasted a day, sometimes just hours. As kids, we were thrilled! Oh yes, it could be cold, but our apartment was steam heated – powered by an automatic “Iron Fireman” using anthracite – my Dad’s pride and joy! 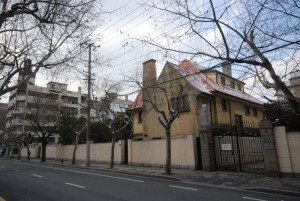 The four story apartment was owned by my parents, and sold just before the Japanese invaded Shanghai during WWII. It was situated on Rue Gustav de Boissezon, in the French concession! Thanks you for your nostalgic recollection Margaret and Helga, such a vivid recall. It sounds like you both have so much to tell? I would love to read any stories you have both written of your early years in Shanghai. Such a transitional period! My grandmother Winifred Alf attended the Shanghai American School from 1915 to 1917. Such a different world we live in now! This is a reply for Eric Williams.